Today’s underwear review is of the Croota boxer briefs. The pair we tried on was supplied to us by Croota. We have already published our opinion about the Australian brand’s designs and exciting patterns and we were dying to try a couple of pairs. The guys were very kind to send us two pairs to try and we were so happy to see that we were right about Croota all along. Great design, great comfort. 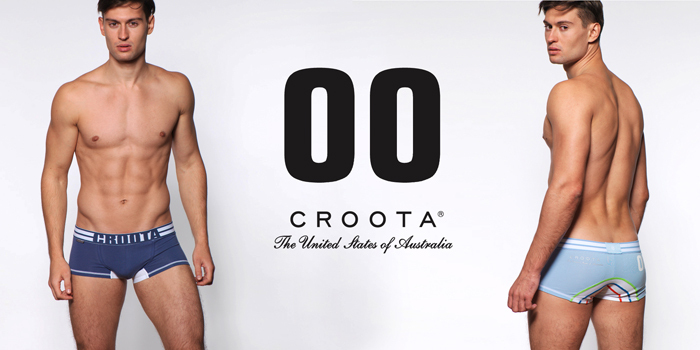 It was a real pleasure to try a pair of boxer briefs by Croota. The brand is all about exciting patterns and designs. We have in the past featured other exciting lines on our Men and Underwear blog, such as the Snowy Mountain line, so bold as to be virtually mood enhancing! Croota certainly offers something different. Their boxer briefs are designed to perfection. Nice strong stitching, colours that don’t fade in the wash and designs that maintain their shape all day long. 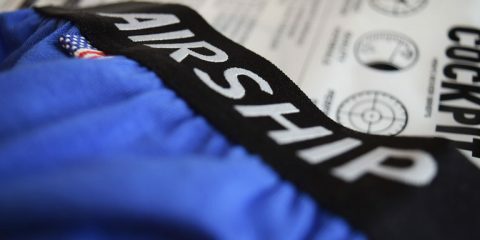 One more strong point is the roomy pouch and the brand’s trademark triple seam at the back, which gives their underwear a great fit. The boxer briefs by Croota passed our test with flying colours. Totally recommended. Your only problem will be choosing the style you like best – there are so many! Fabric: Cotton and elastane blend. The fabric is lightweight, very soft, and feels extremely comfortable against the skin. Colourful, elasticated waistbands with Croota logo label. Fit: The fit is extremely good: Roomy pouch. Triple seam at the back. Very comfortable. Manufacturing: A few loose threads but no misaligned details. The panels are cut with extreme precision. Strong stitching. Label with washing instructions. Fabric: Cotton and elastane blend. Low rise boxer briefs. Extra room in front. Elasticated waistband. Made in China. Croota boxer briefs are great underwear for every day use.